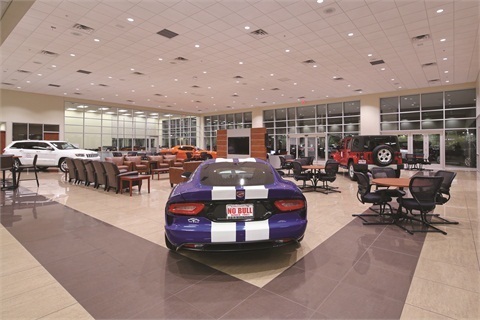 Your car dealership has to make a great first impression for buyers. From the minute they walk in, they are going to be judging you. Do the cars on the lot look good, are the dealership windows clean, how clean are the floors? Although these minute details might not seem important on the peripheral, if things do not look good, if the lot is not clean, and if your offices don’t look good, you are going to lose the potential buyer before they step foot into your dealership. For these reasons, you have to hire the right car dealership janitorial cleaning crew to clean your dealership. We are just the company to hire for the job! – General cleaning: The offices, lobbies, waiting areas, and other spaces visitors enter, will all be cleaned, wiped down, vacuumed, and cleaned to a standard guests will marvel at. – Showroom floors: We pay special attention to the showroom. The floors have to shine, so we make sure they look good, so all your visitors see are the cars. Window cleaning: We guarantee a streak free finish. We use high quality cleaning agents, so the windows will shine, and no streaks are left behind. – Scrubbing: Hardwood floor maintenance, high power scrubbers, and detailed waxing will be done to all areas of the showroom, waiting area, and any area dealership guests will see. – Office and cubicle cleaning: From dusting the desks, to cleaning the phones, we don’t skip out on any detail. We also provide provision of general lavatory supplies, so that your bathrooms look good and have everything guests need when they use them. Further, we dust, provide upholstery cleaning services, parking lot sweeping and washing, and even provide special event cleaning, for the biggest sale events of the year. If you need the dealership to look great, we are the premier cleaners for you to call for your cleaning service needs. When you hire us for your car dealership janitorial cleaning service needs, you can also be rest assured we employ the best, most competent, honest, and reliable cleaners. All of our employees undergo extensive screening and background checks. This means they are reliable, they do not have a criminal past, and they have the essential skills in order to properly clean your dealership and showroom. We also ensure all of our employees are experienced. If they do not have the experience, and haven’t been doing the work for years, we are not going to send them to clean your dealership. We only hire the best people, and we guarantee all of the cleaning work we do in your car dealership. So, whether it is once a week, or if you simply hire us for the special events, we can do it all, and we are sure you will be pleased with the services we provide for cleaning your dealership. We provide discounted rates for our clients who use our services regularly. If you need us to clean your dealership each day, once a week, once a month, or at any other frequency, we promise to provide you with the most affordable pricing for the services. If you need us to do full cleaning services, or simply hire us to perform peripheral cleaning work, we will also provide you with a custom quote so you never overpay for our work. We are competitively priced in our industry, and we guarantee all of the work you hire us to do, so you never have to worry about poor quality work when you choose to hire us for your dealership cleaning needs. Your car dealership has to shine. It has to make potential buyers feel welcome from the moment they step on the lot. Otherwise, you are going to lose clientele, and won’t sell nearly as much as you otherwise could. Call us today for your dealership cleaning needs, for affordable prices, for service guarantees, and for the most reliable, honest, and dependable cleaning crew for the job. Arizona can be dusty, but anyone stepping into your space will be impressed. It doesn’t matter whether it’s an automobile dealership, furniture showroom, or other area where first impressions can help make or break a customer’s confidence. The MJ Company is ready to provide you with a quote for service that will build your confidence as well.